If you’re recruiting for the first time, getting the job description right is a crucial element in not only finding the right candidate, but making sure they stay at your business. 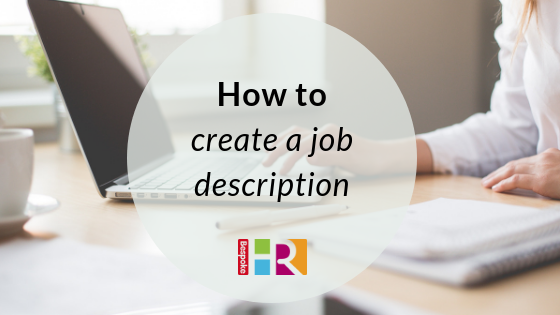 Make your job title clear and simple – avoid jargon so that candidates know exactly what the job is. If it’s a junior role, make sure this is reflected in the title – the same goes for senior positions. This will save you lots of time sifting through irrelevant applicants and CVs. Create a great summary – try and sum up the role in a paragraph that sells the position immediately. You can go into specifics later in the document, but you need a ‘headline grabber’ to get the attention of your ideal candidate. Sell your business – be sure to include details about your business which set you apart from the competition, plus any benefits or perks you can offer. Include the day to day responsibilities – setting out exactly what is expected and how this will be measured. It’s also good to communicate how the role fits into the overall organisation. Include specifics – such as location of the job, hours of work, lunch breaks, holiday entitlement, salary plus details of any bonuses or additional remuneration. Include education, previous experiences and any other requirements for the role. If you have any other skills that you think would be useful for the potential employee to have (such as good customer service or communication skills) include them here too. Family Friendly Working Scotland charity group encourages employers to use the strapline “happy to talk flexible working” to try and attract untapped talent. Get in touch if you would like HR advice or read our guidance on how to create the perfect recruitment advert.